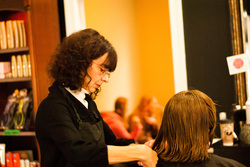 CATHI MANAGES THE SALON AND BOASTS OVER 30 YEARS OF PROFESSIONAL HANDS ON EXPERIENCE. MANY OF THOSE YEARS WERE SPENT IN CHICAGO AT THE GLOBALLY RECOGNIZED ROBERT JEFFRY STUDIOS. HER DILGENCE TO PROVIDING EXCELLENT CUSTOMER SERVICE IS EXTREMELY IMPORTANT AND SINCE MOVING TO JACKSONVILLE SHE'S BUILT A LOYAL CLIENT FOLLOWING. JACKI IS OUR FULL SPA SPECIALIST. SHE IS A PROFESSIONALLY TRAINED AND LICENSED ESTHETICIAN FOR FACIALS, PEELS, WAXING, AND EYELASH/BROW TINTING AND EYELASH EXTENSIONS. SHE IS A HIGHLY EXPERIENCED NAIL TECHNICIAN,CERTIFIED SHELLAC PROVIDER AND IS DEDICATED TO PERFECTING HER SKILLS AND PAMPERING HER CLIENTS. 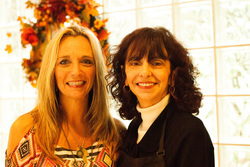 LINDA'S DEDICATION TO HEALING HER CLIENTS IS EVIDENT THE MOMENT YOU MEET HER! SHE'S TRULY CONCERNED ABOUT HELPING YOU TO RELAX WITH A GENTLE SWEDISH MASSAGE OR LOOSENING UP THOSE TIGHT MUSCLES WITH A DEEP TISSUE MASSAGE. SHE'S NATIONALLY BOARD CERTIFIED IN THERAPEUTIC MASSAGE AND BODYWORK AND BRINGS 14 YEARS OF EXPERIENCE TO THE TABLE.